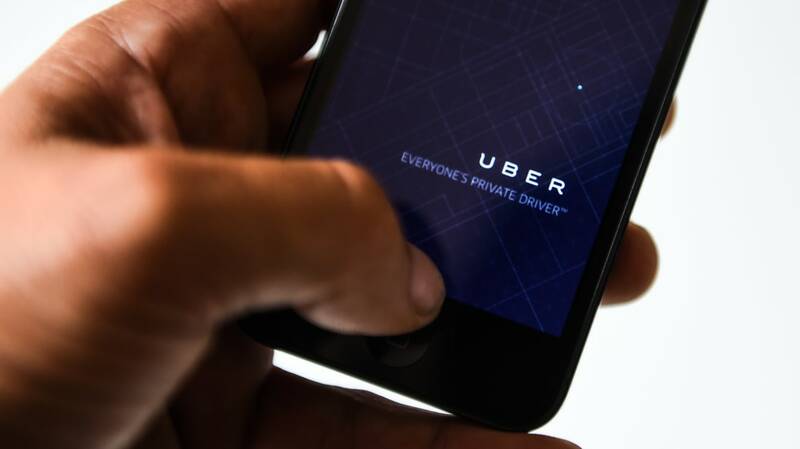 Uber Technologies, the increasingly popular yet controversial ridesharing app, has so far infiltrated 58 countries around the world in its five-year lifespan and shows no signs of slowing down. The number of new drivers joining the ranks of Uber chauffeurs doubles every six months, and last week the company officially surpassed the $50 billion mark in funding. But for all its popularity, the upstart has had (and will probably continue to have) a bumpy ride, enraging established taxi companies by elbowing its way onto their turf and demonstrating the potential problems with the still nascent sharing economy. While commuters and government decide how to deal with Uber, here are a few things you might not know about the company and the drivers that make it go. 1. Drivers don’t get discounts. When Barrett, an UberX driver in Tennessee, answered his phone to speak with me, he was walking a mile to the airport to avoid having to pay for a cab. Uber drivers don’t get any discounts or special treatment when they’re passengers, although Barrett does say the company sends drivers discounts for car maintenance like tire rotations and oil changes. At least one human has breathed its first gulp of air in the back seat of an Uber cab. In March of this year, Zanna Gilbert gave birth to her daughter in a Nissan Altima, which her husband hailed through the Uber app. The baby and mother were both fine, and Uber gave the driver free Knicks tickets for his excellent handling of the situation. The company also paid to have the car cleaned. The baby got a special Uber-branded onesie. 4. Cars can be no more than 10 years old. 5. Some drivers rent their cars. And their phones. For anyone who wants to be an Uber driver but doesn’t have a car that meets the requirements, there are options. A company called Breeze lets ride-share drivers rent a car for $195 a week, plus a $250 one-time membership fee. Uber also has a leasing program that connects drivers with partner dealerships. Drivers who don’t have an iPhone can rent one with basic coverage from Uber for $10 a week. This is a big misconception about UberX, stoked by one of the company’s biggest selling points: customers get in, get to where they’re going, and get out without needing to exchange any cash with the driver. Instead, the app connects directly to a passenger’s bank account and charges them the for the ride. Drivers keep 80 percent of that fare and give 20 percent to Uber. That’s it. In fact, the company discourages UberX drivers from accepting tips on first offer, instructing them to take the money only if a passenger insists. Rand, a driver in Southern California, says maybe one in 10 passengers offer a tip. "I cannot tell you how many times my passengers have told me, 'oh yeah, the tip is included in the fare,'" UberX driver Cole told CNET. "I have to kindly explain to them that it's not included and the fare is only calculated on time and distance." Lyft, another ride-share company and one of Uber’s top competitors, has a built-in tipping system that drivers love. Barrett, like many Uber drivers, also drives for Lyft. He says 40 percent of the money he makes with Lyft comes from tips alone. “Seventy-five percent of my rides all leave tips,” he says. 7. Many drivers prefer working for Lyft. 9. ... But your rating doesn’t really matter. Uber veterans who pride themselves on their highly-coveted five-star rating may be a bit deflated to learn that really, your rating is mostly irrelevant. It doesn’t ensure better service or a faster pick-up time. In fact, most drivers don’t even look at your rating before accepting you as a passenger. “I’ll accept a ride that comes in regardless of rating,” JC says. That’s because drivers only have a few seconds to accept an incoming ride request before it gets passed along to the next closest Uber car, and most drivers would rather make a few bucks off of a rude passenger with three stars than make no money while holding out for a five-star rider. “I’m just in the habit of, when I get a request, that’s money in my pocket, so I click accept,” Barrett says. 10. But how you rate the drivers does matter. 11. Drivers are also judged by their "acceptance rate." Uber tells drivers that they should accept 80 percent of all the ride requests they receive, but "the closer to 100 percent the better." And while one of the biggest draws of Uber is that drivers get to set their own hours, they’re encouraged to drive as much as possible. “If you drive 50 hours a week you get 10 percent on top of what you made that week as a bonus,” Barrett says. Most are on the road for fewer than 15 hours a week, according to Uber data. The Uber app lets passengers designate a destination, but drivers aren’t privy to this information until they pick someone up. This means it’s entirely possible a customer could have a destination that’s hours away. Earlier this year, one man took an Uber car from Scranton, Pa. to Buffalo, N.Y., a 6-hour, 278-mile trip. Granted, he alerted the Uber driver of his travel plans before getting in, and had already been turned down twice. The trip cost him $583.69. 13. They’ve probably picked up a prostitute. In 2011, a controversial data deep-dive from Uber’s data scientists found a correlation between neighborhoods with a higher number of prostitution crimes and an increase in Uber rides. “Areas of San Francisco with the most prostitution, alcohol, theft, and burglary also have the most Uber rides,” they wrote in a blog post. “Be safe, Uberites!” The post was deleted following some criticism, but seems to be back online now. 14. Celebs take Uber, too. 15. Drivers try to match the music to the passenger. 16. They’re not just in it for the money. The average hourly rate for UberX drivers across the country is about $7 higher than that of other taxi drivers and chauffeurs, according to Uber data. That comes out to about $20 an hour in Boston, $30 in New York. However, Uber dropped its rates by up to 30 percent in 16 cities last year, and drivers felt it. “It was really good pay when I first started,” says Rand, who first got behind the wheel for Uber in October 2013. He could make $15,000 driving part-time from January through May, but that number was reduced to $3000 after the price cut. Uber says most drivers (roughly 80 percent) had full- or part-time jobs before they started driving on the Uber platform, so they’re not joining out of desperation for cash. Instead, some of the biggest draws are the flexible hours and the opportunity to meet interesting characters. “It’s about the people now, not the money,” Rand says.